The award-winning Xcelerit SDK is a software toolkit to boost the performance of compute-intensive applications while preserving programmers’ productivity. From a modified sequential source code – free from any parallel constructs, low-level compiler directives, etc. 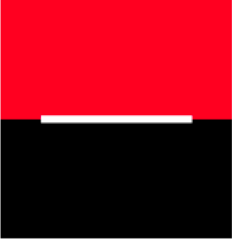 – the Xcelerit SDK can generate highly optimised code for a variety of target processors. These include GPUs, many-core processors – and combinations of these in a grid. The programming interface is intuitive and suitable for many classes of algorithms, e.g. Monte-Carlo, Finite-difference, or Lattice-based methods. The Xcelerit SDK is targeted at domain specialists performing heavy computations with the need for a flexible in-house solution. Users can focus on the core of their algorithm and the problem at hand, and yet they can generate high-performance programs. I really like the Xcelerit SDK for Monte Carlo applications. The API is very clean, and the implementation is very elegant. I can see this approach doing very well with the banks who will like this better than the turn-key solutions that most other ISVs develop. This white paper zooms into the programming interface of the Xcelerit SDK, using a simple example. 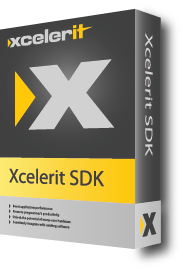 It gives code snippets and illustrates the key concepts behind the Xcelerit SDK. This white paper illustrates the user experience aspects of the Xcelerit SDK – from IDE integration over execution monitoring and profiling to debugging. This video demonstrates how the Xcelerit SDK can be utilised to accelerate the CVA calculation on a portfolio of swaps – both on multi-core CPUs and GPUs from the same source code. IBM Platform Computing really does a good job of controlling exactly what resources are made available to any one job – the Xcelerit Software Development Kit then makes sure that every available chunk of compute power is used to the limit. Intel processors can really deliver spectacular performance to programmers who make good use of their cores, caches and vector processing units. Xcelerit technology opens up Intel performance to programmers who don’t have that expertise. NVIDIA GPUs can deliver staggering power to the end user. In many financial applications, we find that companies have quite extensive existing codebases. Xcelerit makes it very easy, with minimal modifications, to enable really quite spectacular speed-ups.